The State of Israel's connection with the mission of the IHRA remains especially poignant and meaningful. Our government continues to demonstrate commitment to supporting and implementing activities related to the Stockholm Declaration to promote and further Holocaust Education, Remembrance and Research in Israel. 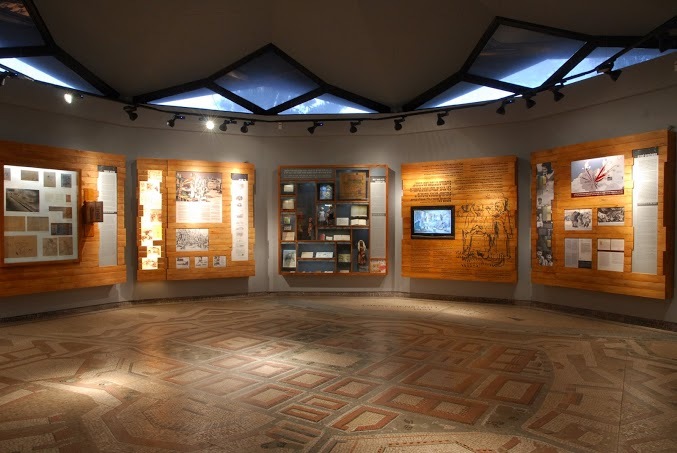 As the national homeland for the Jewish people, and in light of the fact that the majority of Holocaust survivors chose to settle in Israel after the Second World War, Israel holds unique status in terms of remembrance and teaching about the Holocaust. Examples of Israeli efforts include the Chairs Projects of the Israeli IHRA Chairmanship (2010), current efforts by the Ministry of Education to establish a National Holocaust Curriculum, the establishment of the Ministry of Senior Citizens to oversee Holocaust survivors, and many complimentary efforts by Israeli NGOs to care for them. The Holocaust remains an integral part of Israeli society and culture. A 2012 study on identity among Israelis found that 98% percent of the respondents consider it either "fairly important" or "very important" to remember the Holocaust. Remembrance, it can be seen, is a central tenet of Israeli life. The main challenge for the future is viewed as the preservation of a vibrant, relevant culture of Holocaust Education, Remembrance and Research in a world where fewer survivors remain to bear witness, and in particular against a backdrop of increasing global Antisemitism and Holocaust Denial. Aspects of Holocaust awareness and commemoration remain present throughout the entire Israeli academic year. Study trips to Poland have been made available to all 11th Graders by the Israeli Ministry of Education. Training courses in Israel and in Poland are also offered to soldiers and security personnel. 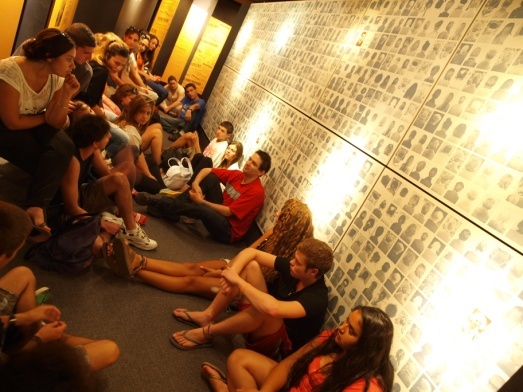 Overall, Israeli youth remain interested* in learning about this subject, and innovative methods have been developed to keep Holocaust education relevant and accessible to new generations. 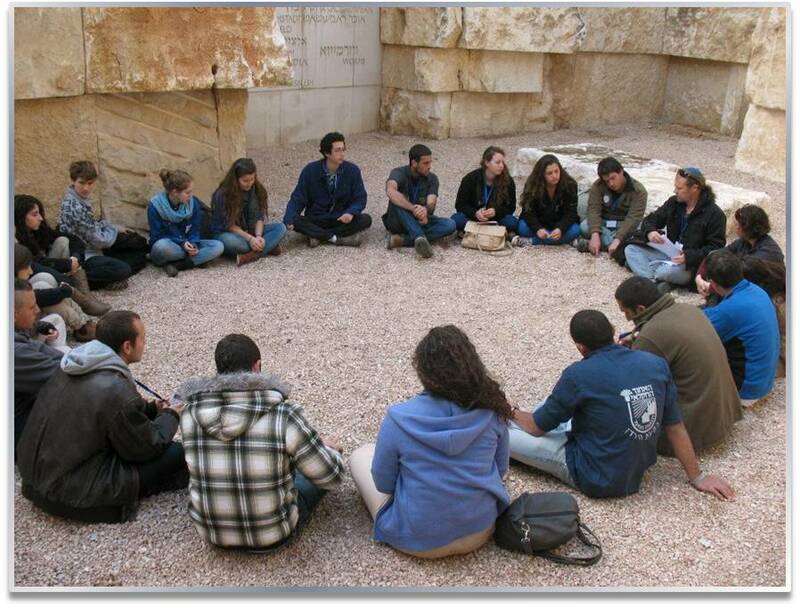 Various programs have also been developed by some of the Israeli Holocaust organizations over the years to enable discussion and awareness raising on the Holocaust in minority groups in Israel with no personal or cultural connections to the Shoah. It is important to note that Yom HaShoah ceremonies are held in schools, but until now there has not been any officially mandated study of the Holocaust outside of the History matriculation courses. However, the Holocaust is often taught from a variety of disciplines in schools, such as classes on literature, history, music, drama, foreign languages, art, philosophy and others. Where possible or appropriate, Holocaust survivors are invited to relate their personal experiences to pupils, educators and soldiers. Further, Teacher-training remains a top priority: Some 200 Accredited Holocaust Education Teacher Training Seminars are implemented by the various Israeli institutions, both physical and online, each year. World-renowned Holocaust education training courses for educators from across the globe have also been developed. 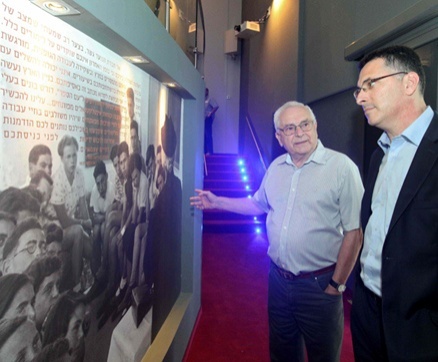 In 2013, Israeli Education Minister Shai Piron announced that all Israeli schools will teach lessons about the Shoah in each of the 12 years of compulsory education, a groundbreaking proposal which the Ministry of Education has undertaken together with the pedagogical experts of the International School for Holocaust Studies at Yad Vashem. This plan, which aims to formalize the teaching of the Holocaust in schools, will be age-appropriate: first-graders will not be exposed to disturbing stories or images, but rather, six-year-olds will discuss baseless hatred, tolerance for others and similar topics. Lectures will become more comprehensive in later years. An ongoing and ever-evolving priority in Israeli Holocaust education remains the virtual realm: Resources in both national and a plethora of foreign languages, such as lesson plans, sample ceremonies, maps and guidelines, have been developed and are readily available on a number of websites of Israeli Holocaust organizations, and all the major organizations maintain a presence on the main social networks. There are no authentic Holocaust-related sites on Israeli soil. However, the State of Israel has absorbed approximately 300000 Holocaust survivors, and countless Holocaust-related memorials (non-authentic sites) have been erected throughout the country. Awareness, documentation and commemoration about the Holocaust began even before the establishment of the state in May 1948. Documentation- and ongoing cooperation with archives around the world- remains a steadfast priority for the State of Israel. 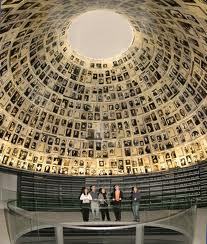 2010 saw the cataloguing of 4 million names of Holocaust victims at Yad Vashem. Holocaust Martyrs' and Heroes' Remembrance Day (Yom Hashoah) in Israel became institutionalised with the "Yad Vashem Law" of 1953. The designated day to memorialize the six million Jewish victims of the Holocaust, it is a solemn day, beginning at sunset on the 27th of the Jewish month of Nisan and ending the following evening. Places of entertainment and leisure are closed. 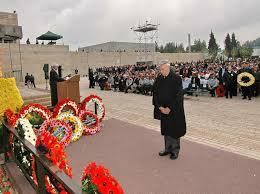 High-profile, multi-media coverage of events over the course of 24 hours takes place: National ceremonies- with Holocaust Survivors assume key roles- are held on the eve and in the morning in the presence of the President, Prime Minister, and state dignitaries at Yad Vashem and televised on several channels. A siren sounds at 10am on Yom HaShoah wherein the entire country must stand to attention. All Israeli Holocaust organizations- including Beit Terezin, Ghetto Fighters' House, Massuah, Moreshet, "Bet HaEdut", Ot Vaed, Shem Olam, Ginzach Kiddush Hashem, Yad Lezahava and Kibbutz Yad Mordechai, as well as Yad Vashem - hold memorial ceremonies and programs, as do all schools and universities, military bases, municipalities and even many places of work. 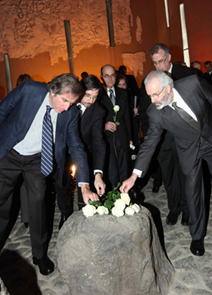 Since 2006, the State of Israel has additionally observed January 27th as International Holocaust Remembrance Day. Special cabinet meetings are held to mark the day within the Israeli government, while programs, exhibitions and ceremonies are held throughout the country and abroad with widespread Israeli representation. 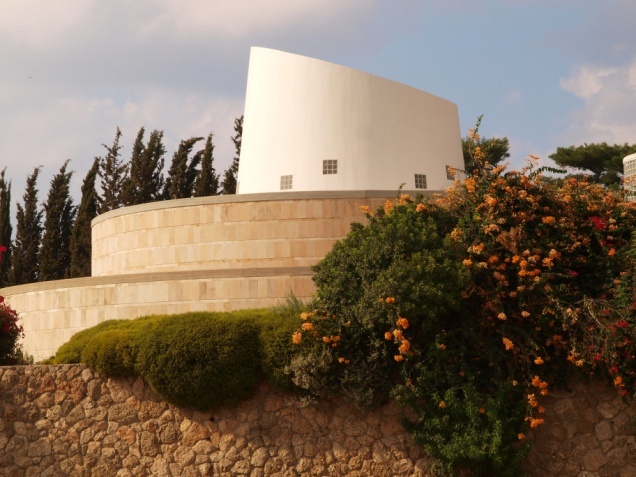 An official national ceremony has been held at "Massuah" at Kibbutz Tel Yitzchak since 2006. It should be further noted that on two fast days in the Jewish calendar, (the 10th day of Tevet and the 9th day of Av, respectively) it is growing increasingly common that members of the orthodox Jewish- and particularly the ultra-orthodox- communities in Israel and around the world choose to focus on the Holocaust as part of a general mourning for tragedies which have befallen the Jewish People. Israel maintains a strong tradition of Holocaust research, scoping a wide geographic range, as well as many themes. Thus, research addresses Germany and the Third Reich, Eastern European countries, the Balkans, Western Europe, North Africa, and more in terms of geography, as well as topics that cover themes such as ghettos, forced labor, women, Jewish leadership, and more. Research in Israel also addresses survivors, literature on the Holocaust, issues particular to Israel (e.g., the Kasztner trial), and more. Israel’s five major humanities and social science research universities each have professorships dedicated to the Holocaust, as do many of the colleges. 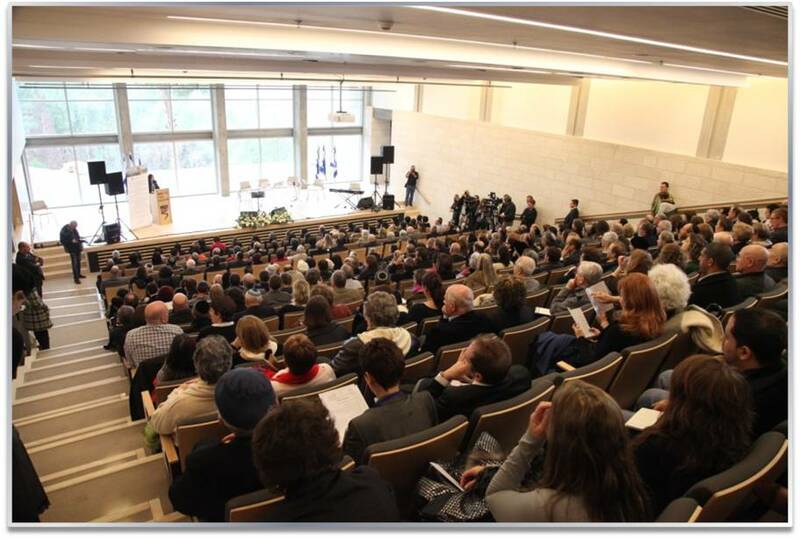 In addition, there are many courses taught by adjunct faculty, as well as research and grants sponsored by Yad Vashem. Furthermore, academic centers such as Yad Vashem's International Institute for Holocaust Research; the Arnold and Leona Finkler Institute of Holocaust Research at Bar Ilan University; The Vidal Sassoon International Center for the Study of Antisemitism; the Stephen Roth Institute for the Study of Contemporary Antisemitism and Racism at Tel Aviv University, as well as others, publish research reports, articles and books related to Holocaust studies every year. The Israeli Ministry of Foreign Affairs has established a department for combating Antisemitism and promoting Holocaust awareness. The staff work closely with non-governmental organisations, research institutes and scholars in Israel and abroad. They are also responsible for the coordination of the Global Forum for Countering Antisemitism.